Casa Velas is an adults-only, all-inclusive luxurious resort set amidst a tranquil, tropical oasis. 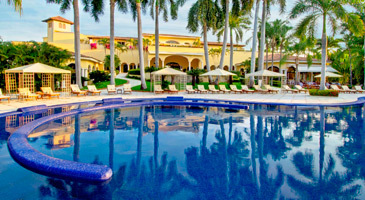 Located on Marina Vallarta golf course, just minutes from Puerta Vallarta International Airport. Experience Conde Nast-recommended and AAA award-winning service and hospitality along with the pleasures of a romantic and intimate atmosphere. Enjoy comfortable suites, spectacular cuisine, access to a world-class spa, and a private beach club.